They are everywhere in Tokyo. 2. On train station platform. 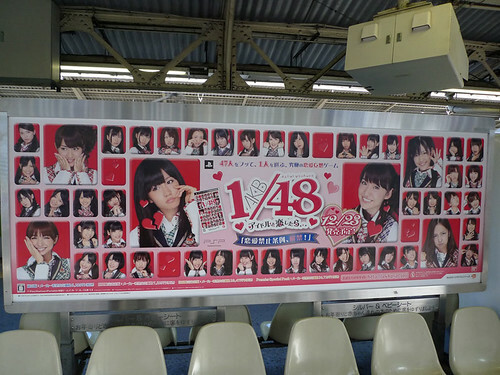 Advertisement for AKB48 PSP simulation dating game. 3. In book stores. The one on the left is cute. 5. On the road in Shinjuku. 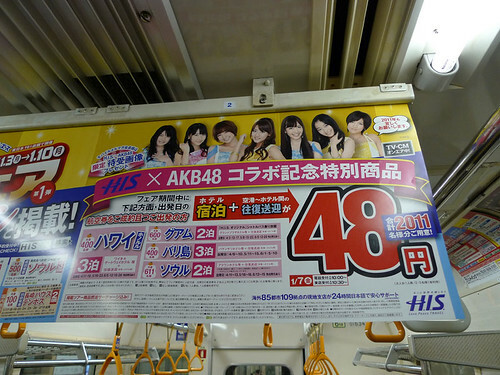 Truck plays AKB48. music while making its round around town. 6. Outside a video store. 7. In a music store. 8. 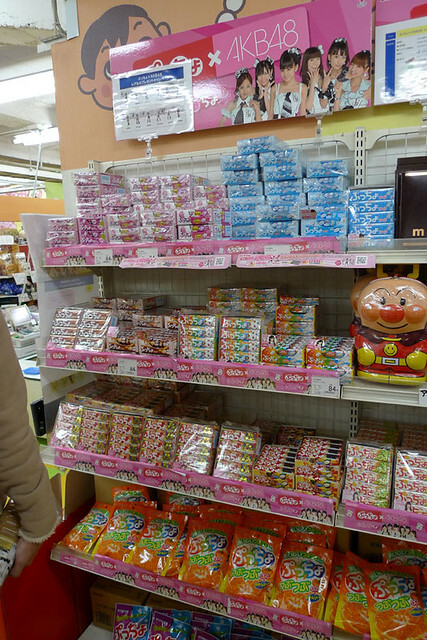 In a convenient store. Strategy guide to play the PSP game. 12. 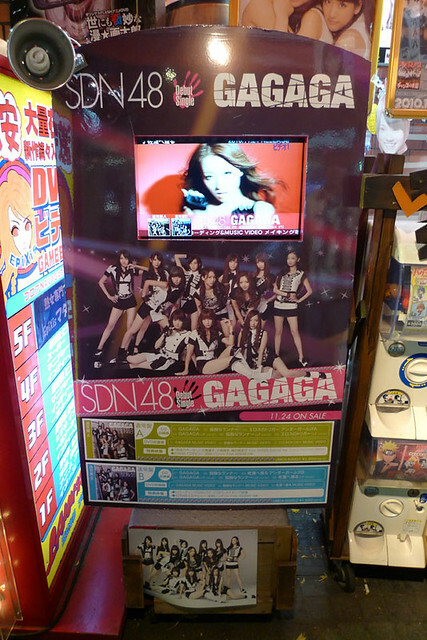 Is SDN48 a sub group of AKB48? 17. 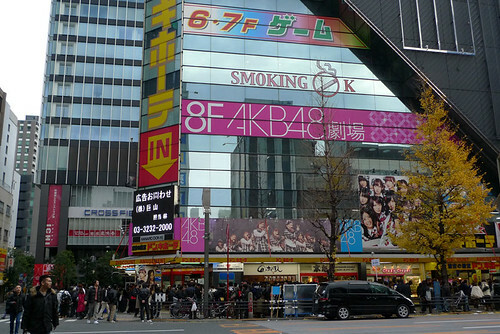 The AKB48 theater in Akiba is closed for the New Year. 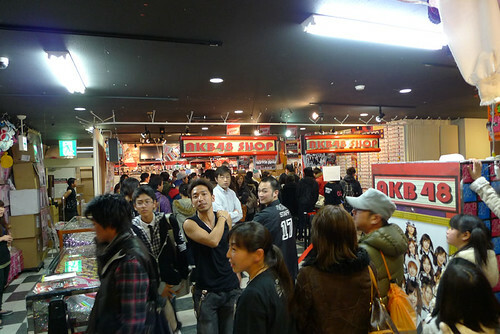 But the AK848 shop on the fifth floor is packed with people. 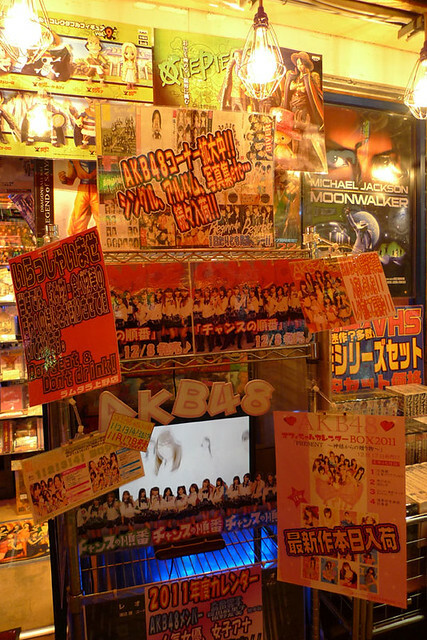 This entry was posted in AKB48, Japan, Japan2010. Bookmark the permalink. Meaning they need to think harder in ways to hide. lol you can easily spot them now if they are out and about. To be frank, you dont need a guide book for the game. After 2 roinds, you figure out how to get the girls. 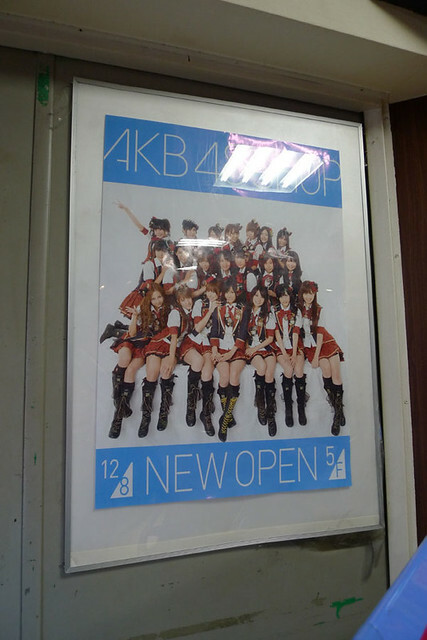 No, SDN48 is not a sub group, but a sister group of AKB. 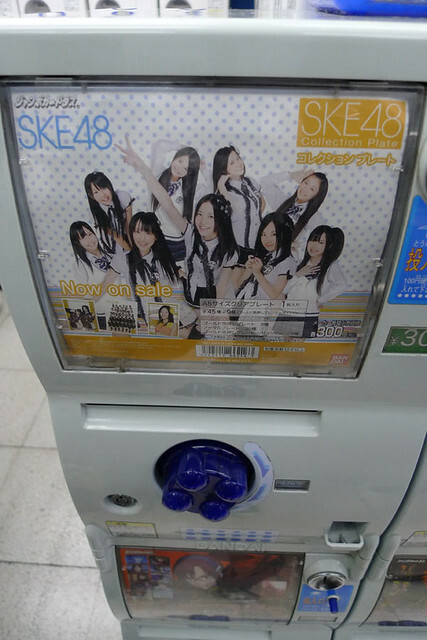 Currently, there are three sister groups of AKB48: SKE48, SDN48 (matured theme songs as compared to AKB) and a new group that debut on 01/01/2011: NMB48. 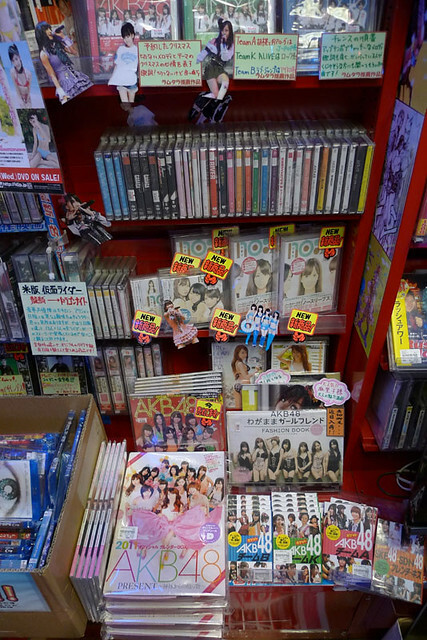 Currently, Akb48 is rather popular as their 18th single, Beginer, got the Top Record for 2010. Million seller! 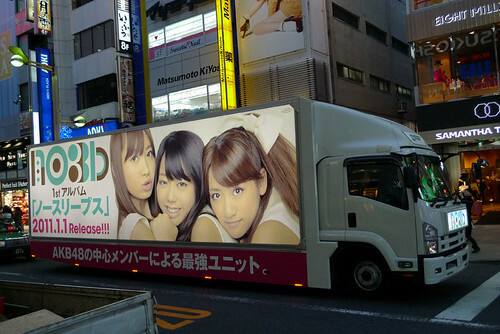 The no3b you saw on the big lorry truck, is a unit under Akb: No Sleeves, abbreviated to no3b. Here’s something for u. 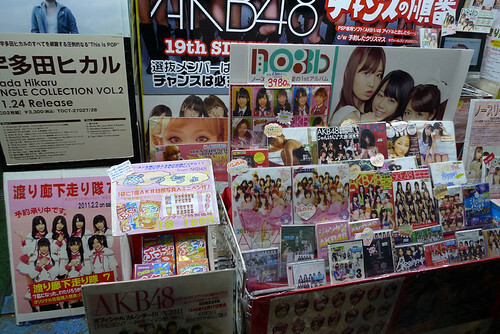 Who in AKB48 do cosplay? Takamina did cosplays before. Naruto, one piece, etc. And Chiyuu.. Always with her Chiyuu outfit. That counts as cosplay? What kind? Anime? They dont do much cosplats of animes, except for one anime movie, Ice. Other than work related, they don’t cosplay. MAYU is an anime fans !! 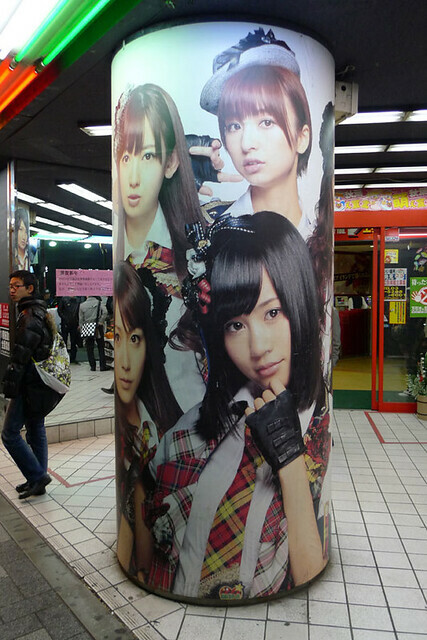 Steal one of the poster for me!